Hold a grudge against the Samsung Gear VR's trackpad? Fed up of your crappy Bluetooth controller? Well, with a week to go before Google is set to (hopefully) reveal some Daydream headsets, Xbox Accessories has announced that its new $59.99 Xbox wireless controller will be compatible with Samsung's mobile VR headset. The first Gear VR game playable with the controller will be Minecraft: Gear VR Edition after its October update. Strengthening the Samsung, Oculus and Microsoft axis, the plan is to add Xbox support for all controller playable games. The Oculus Rift already comes bundled with an Xbox Controller but the Gear VR has never been sold with an accessory. Just to be clear, it sounds like only the latest controller is compatible. We don't have a firm date yet for roll out beyond Minecraft but the Xbox blog post says news on the Xbox controller support will be announced "in the coming months". Samsung and Microsoft would be fools if they don't get it in place for Christmas. If you want to try it out with Minecraft, you'll need to update both your controller and the app to get it working. 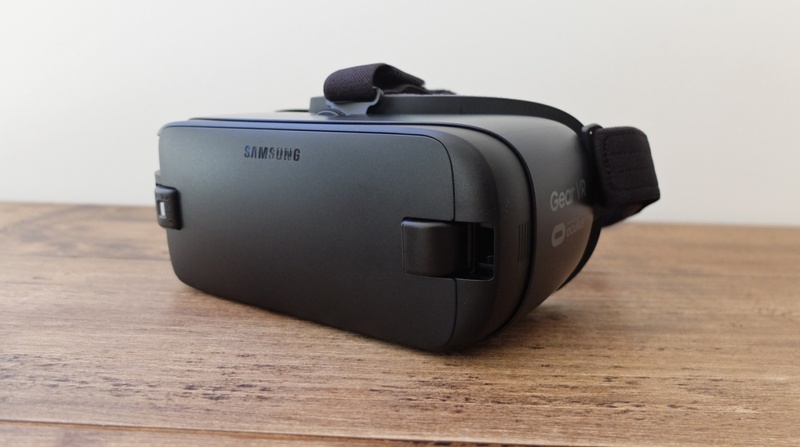 The news makes the Gear VR even more of a complete mobile VR platform - that's also an absolute bargain - and we're looking forward to seeing more complex games hit both Oculus and Gear VR to take advantage of the new controls. Handheld, motion sensing Oculus Touch-style accessories next please.